Woodland gifts made in my *Woody Woman's World* with love and consideration for our environment. This little box has been made entirely by hand in the heart of my little Welsh Cabin with no complex tools just lots of love, heaps of passion and an eye for detail from wood harvested by a kind villager. The little boxes are perfectly made for uniqueness. I chisel, carve, cut, slice or smooth merely to reveal what is hidden away entwining them with my labour of love. I embrace each piece of wood to highlight its shape, colour or texture to hopefully create something that is special, beautiful and functional. 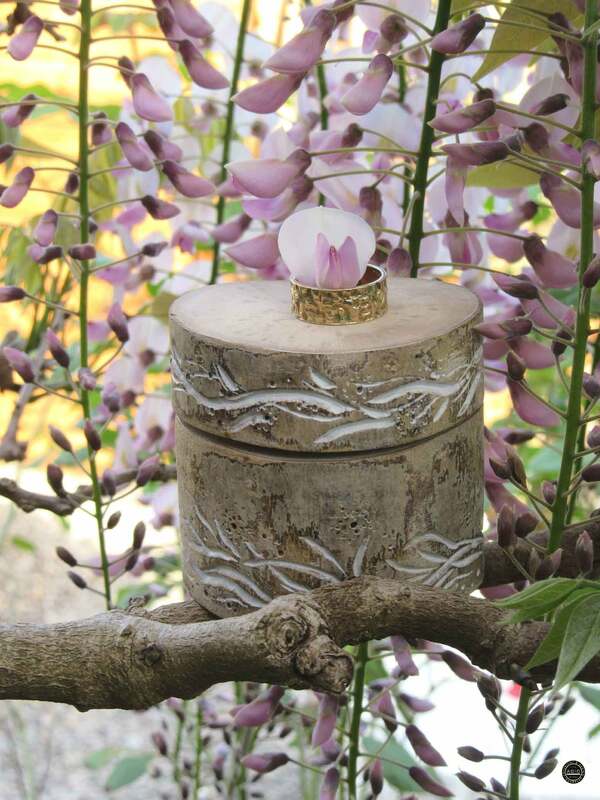 This box is a lovely addition to a woodland, rustic, or unusual wedding and perfect for the timeless celebration such as anniversaries and engagements. 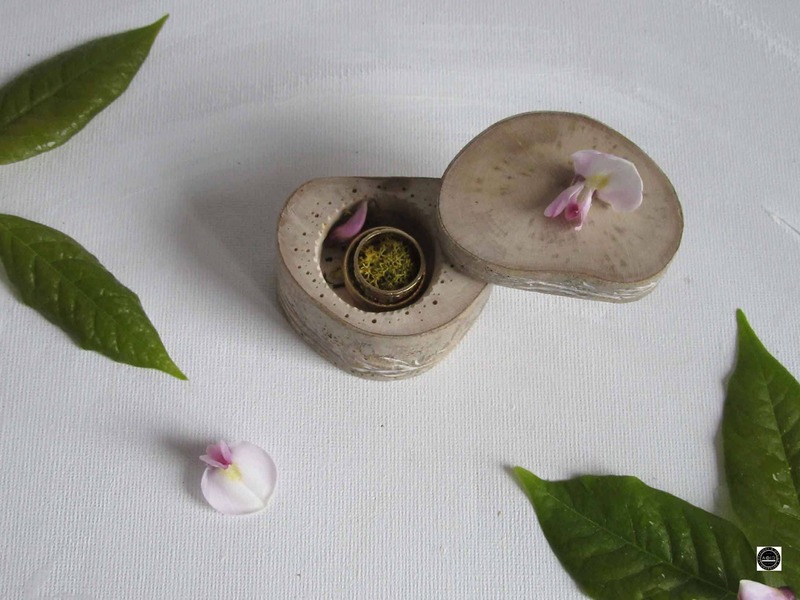 To add a touch of welsh cwtchiness your rings can be snuggled into the provided moss for presentation and kept safe with a swivel top. 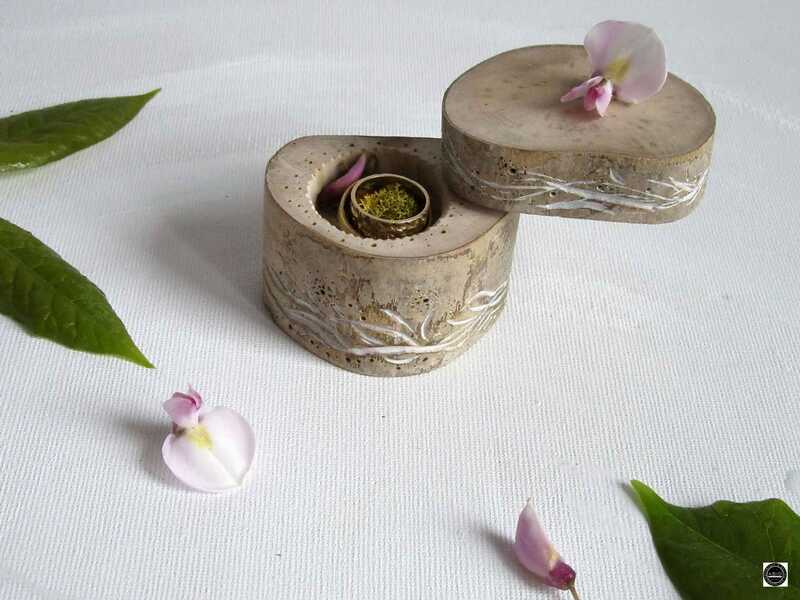 This little ring box is adorned with carved vines and tiny floral sprays which is carried through on the ring space surface The highlighted hints of subtle white complement the neutral colours of nature. Delicately, and carefully created, this is another little treasure for those special rings and best of all " it's fresh from the hands of the maker." There is one only and is as unique as you will find, truly a little treasure for your gems. 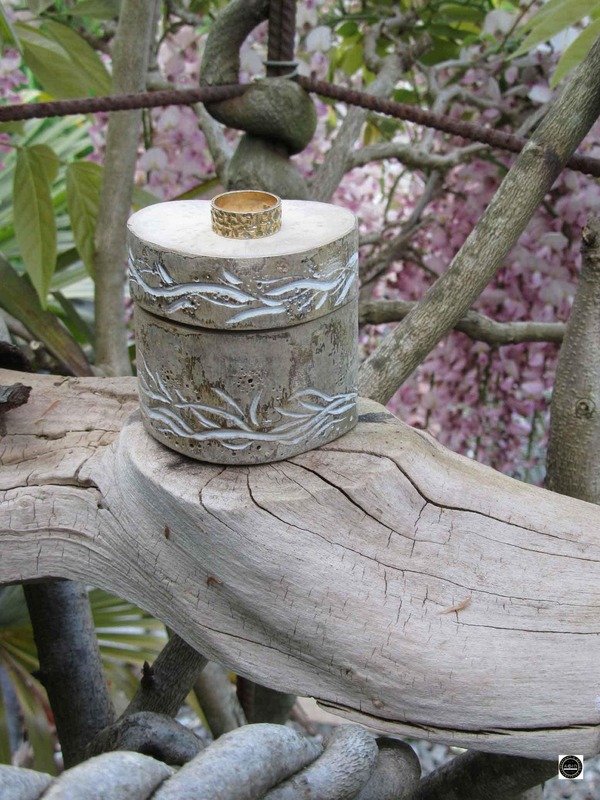 Size of wooden ring box is approx. 6cm in height and just under 6cm x 4.5cm/ heart style shape. Size of ring space is approx 3cm dia. and depth is approx 2cm. The ring box will be *Gift Wrapped* and sent On a Signed for Delivery.